← Building Visual Language – a lexicon of mark making! Let me tell you, Jenn and I are keeping busy. 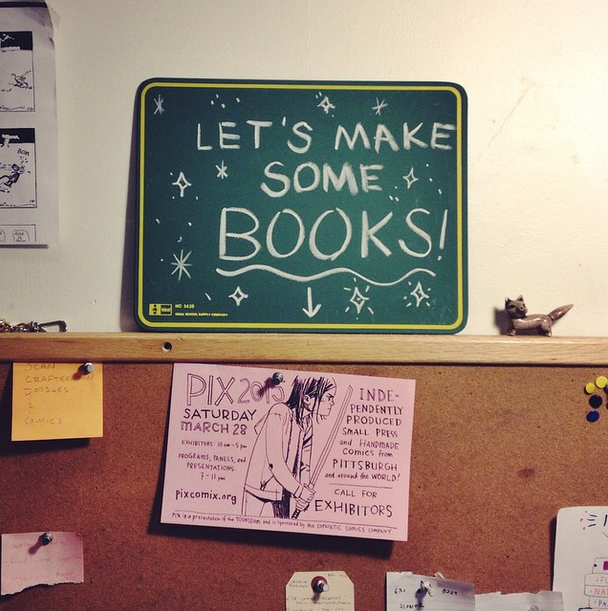 We’ve got some new books in the works that we’re really excited to be bringing into the world at the end of March at PIX, the Pittsburgh Indy Comics Expo. One will be a collection of Jenn’s diary comics from this January and February. She’s been working hard and I can’t wait for everyone to see where she’s taking these diary comics. I think they’re going to strike a really beautiful nerve with some people. Hope on over to her site to get a taste of some of her older comics! 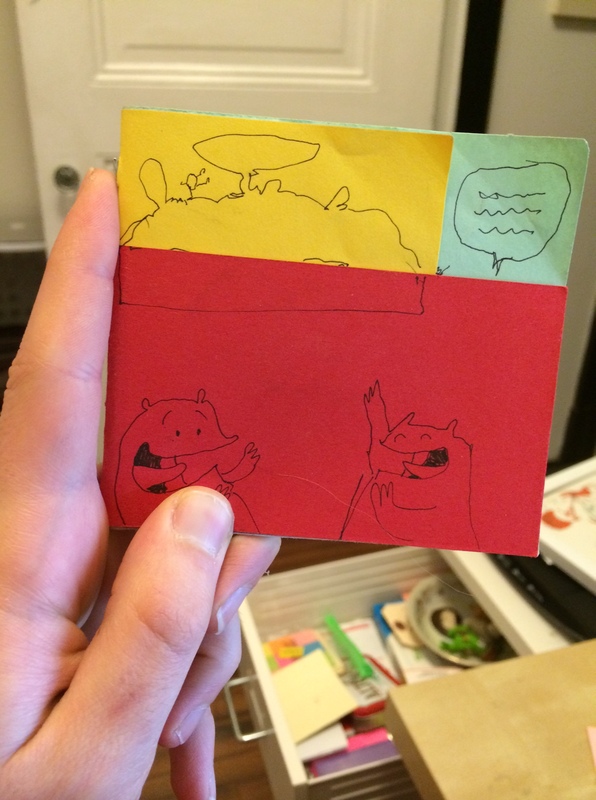 Jenn also has a collection of comics and doodles that she’s made over the past year and a half that are full of color and experimentation. It’s going to be a feast for the eyes. I’m excited about the production that we’ll be doing on this one. 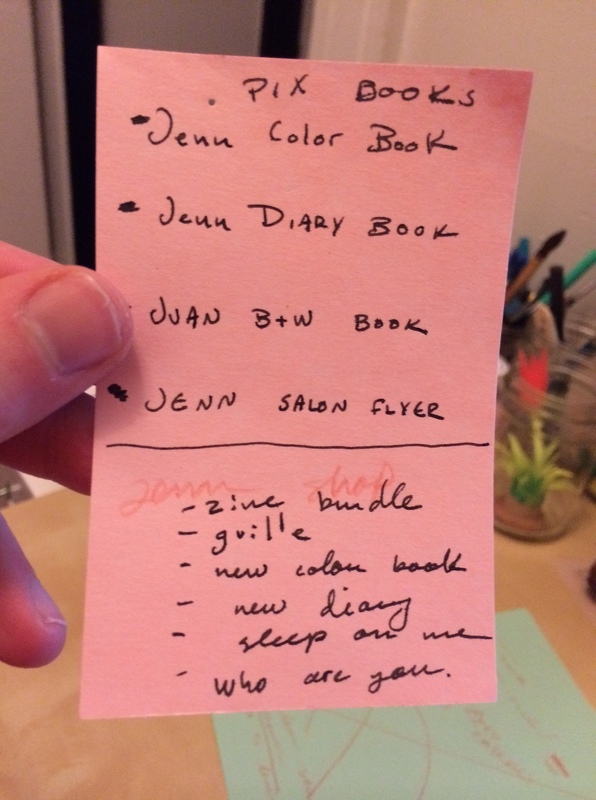 Jenn is hoping to make a facsimile notebook. Maybe we can even sew the book as a single signature! I’m going to be putting together my first book of the year! It’s going to be black ink printed on a bunch of different sheets of paper. I hope to make it a reading experiences that lifts the spirits and stays in your memory for a while! I’ve been soaking up the colorful zines that Monica and Souther Salazar have made over the years. The energy in those books is so refreshing and inspiring. I hope my little book comes close to making you feel that good! It’s going to be silly and experimental and fun.